Rear rack with spare tire carrier is both functional and stylish. Cuppini brand, In chrome. 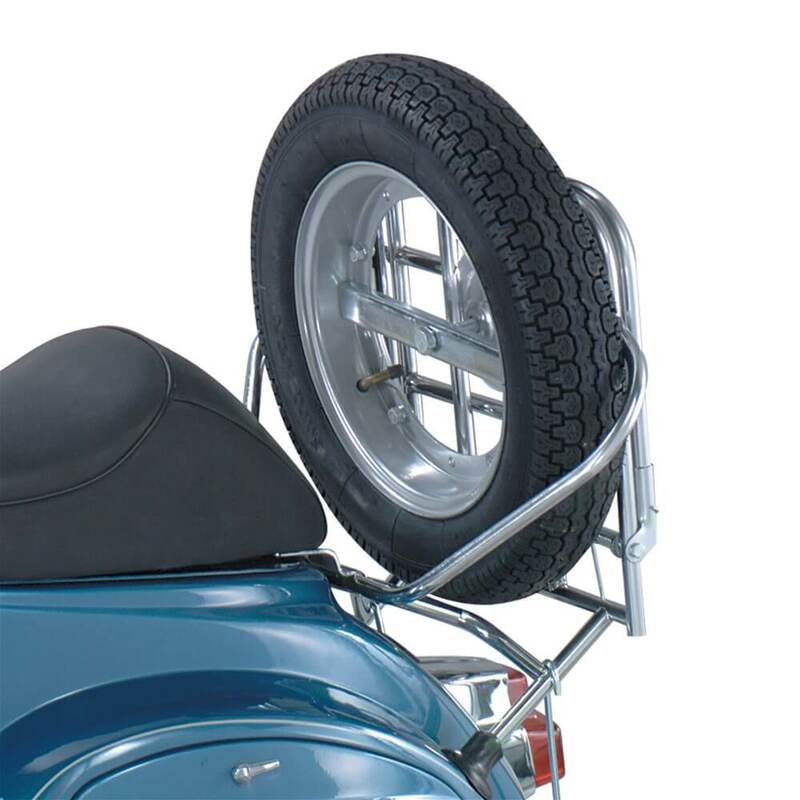 Fits Smallframes V5A, V5B, V9A, V9B, VMA (Note: This rack will not fit 70s Vespas with USA-style taillight unless the taillight is changed to a European style). Mounts to rear gas tank bolts and bottom of frame with adjustable hooks.